We are in the midst of a unique moment in Cuba. The deadbolts of the palatial halls have finally begun to yield, after long years of the absence of communication with the natives during which the tension between the government and the independent civil society –including all its actors- has reached a critical point. 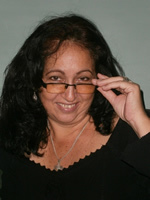 On Wednesday, May 19, 2010, there was a turning point that is leaning toward breaking the deadlock: the Cuban government, which never sought any in-country partner to discuss the serious problems of all types that have been afflicting Cuban society for decades and which have worsened since the final decade of the last century, has been forced to appeal to the highest authorities of the Catholic Church to mediate in one of the most controversial issues of today, that of political prisoners, the Ladies in White and Guillermo (“Coco”) Fariñas’s hunger and thirst strike demanding the immediate release of 26 of the prisoners of the Black Spring who are suffering from severe health problems. Without a doubt, this is not a government concession; the autocracy needs to gain time. This year started out with a dire signal to the dictatorship, manifested, among many other events, with the death of Orlando Zapata Tamayo during the hunger strike he held in prison for over 80 days, and with the impressive revival in consciousness of many voices in and out of Cuba. Added to the impact that this event had in public opinion is the resistance by the Ladies in White, sustained for seven years, in pursuit of freedom for family members, and the determined attitude of Fariñas, whose echoes have been gaining strength even in Cuba, a nation long plagued by chronic lack of information. On the international scene, the government has never been so isolated. Cuba is in urgent need of change, and the government knows it cannot continue to delay. Inevitably, the proud gerontocracy has been forced to lower its crest and, at the risk of breaking its neck due to the unusual exercise, to stop scanning the empty horizon for a saving sign and to look inward. Nor are the events that have led to this point random or isolated. The Cuban government is experiencing its worst crisis: the inability of the system to sustain itself, the structural collapse, the foreign investors’ lack of faith, the people’s increasingly widespread skepticism (whose most recent evidence is the absence from the polls, the abstention or cancellation of more than one million votes in the so-called elections last April), the permanent emigration, the economy’s final syncopation and the humble but steady growth of demonstrations and civil requirements within the country, are some of the factors of a collapse that only the government could alleviate –since it has not avoided it- by fostering internal dialogue and introducing sweeping reforms in a hurry. It is imperative, therefore, to set in motion a mechanism whose inevitable consequence will be transition. Though hoped for, the dialogue is still surprising. It was assumed that the government would never agree to talk directly with any dissident faction after demonizing them consistently as “mercenaries”, “sellers of the country”, “lackeys”, “traitors” and other similar qualifiers; it would be inconsistent to legitimize them, to give them the recognition that it always denied them. Thus, it appears that the authorities have chosen as a mediator, not the complacent Board Council of Churches of Cuba, ever-ready to support government interests stemming from mandates of the drive-shaft known as Caridad Diego, the dreaded Head of the Department of Religious Affairs of the Central Committee of the Communist Party -who, in a very uncharitable manner, dictates the norms to the more obedient and receptive among the shepherds of this peculiar flock- but to the highest hierarchy of the influential Catholic Church, the largest and most powerful religious institution in the country, which the government has crossed swords with on more than one occasion. However, I feel very positive about this series of dialogues between the government and the Catholic Church in respect to political prisoners, provided they come away from it with solutions to a conflict created by the government itself. And, though on occasion I have criticized the lukewarm positions of certain high representatives of the Church, right now, I can’t imagine a better mediator –as long as this is a process and not just another government voice- to find the start of a path likely to lead to changes. This is an important first step. Do not forget, however, that neither the Cuban government nor the Church are the true protagonists of this dialogue, but Orlando Zapata, the political prisoners, the Ladies in White and Guillermo Fariñas, who are all heirs of so many years of civil resistance waged by thousands of Cubans. Let’s not lose sight either of the misleading nature of this government, a wolf ready to disguise itself as sheep, because emptying the prisons due to the pressure from current circumstances does not mean they won’t be ready to fill them at the first chance. As far as I’m concerned, I am keeping my skepticism under wraps: the yeomen of the system are not working hard in vain, inventing new nightmares under the rubric of “mercenaries”. This time, in keeping up with the times, they have included the term “cyber-terrorists” specifically designed for the prickly independent bloggers in Cuba. Let’s then see if what some have already begun to call “Operation Frock” produces the desired effect and sets a favorable precedent to transition, peacefully and at medium term, toward democracy in the Island. Today, the high Catholic hierarchy has the unique opportunity to contribute to Cuba’s democratization and to the reconciliation among all Cubans; it also has the moral authority to do so. My best wishes for the success of its discussions. After reading the intervention of the Minister of Foreign Affairs of Cuba, Bruno Rodríguez Parrilla, at the meeting of foreign ministers of the VI European Union-Latin America and the Caribbean summit, held in Madrid on Monday May 17th, 2010 and published two days later on the last page of the newspaper Granma, I have the disturbing feeling that I missed some important part in the plot of a novel. And that’s because the abyss between the Cuban reality and the discourse of the Cuban government is ever widening. The brief statement repeats the old standby of “the former colonial powers” that have to take responsibility for those that today are “suffering from the colonization and its consequences” on this side of the Atlantic, as if the failed policies of certain governments in this region didn’t play a role in the current state of the poor nations of this hemisphere, as if Cuba could be considered at the same level as the rest of the countries of Latin America and the Caribbean and -in addition- it would be proper for it to seize the right to speak on behalf of all of them. The arrogance of the Cuban government, even when it’s now mired in its deepest debt ever, seems limitless. In spite of that, the Island’s chancellor, whose equanimity, we must admit, is commendable, assured that “we need a new European glance towards our region. They should get used to treating us as equal partners” without clarifying that, in that “equality” the Cuban side reserves the right to pay its debt to its partners or not, of seizing its accounts, or simply to not comply with the terms of its contracts. Europe is fine, if negotiating with it results in gains for only the Cuban government. When the time comes to invest in Cuba, it does not matter if the source of the capital comes from the old colonial powers; on the other hand, Cubans, who according to the official discourse have endured the exploitation of their riches and are “exploited and discriminated against” as emigrants in the Old Continent, do not have the slightest right to invest in their own country. But, more surprisingly and truly astounding is the ecological claim against that “cultured Europe” which “should understand that its production and consumption patterns are irrational and will lead to the destruction of the planet.” I wonder if Europe had anything to do with, for example, the uncontrolled construction of dams on the largest river in Cuba, which caused a drastic decrease in water flow and salinization of the Cauto Basin, produced by the consequent rise of the sea, ruining large tracts of previously fertile land for crops (such as rice, etc. ), a disaster which some experts consider irreversible. I wish the Cuban government would inform us if that terrible Europe is responsible for the environmental damage caused by the uncontrolled building of causeways on our northern coast during the 1990’s tourist rush, intent on linking the keys adjacent to the Big Island at the highest speed and lowest cost, which resulted in, by not adhering to essential technical requirements, increased salinity in the coastal lowlands, and with it, the death of kilometers of mangroves and associated fauna, all which, in turn, meant the retreat of the coastline and the invasion of the sea. I have other doubts: has Europe built hotels and airports on Cayo Coco and Cayo Guillermo and destroyed the nesting sites for flamingos and other migratory nesting sites each year? And, if we delve deeper into the past, was it a European government that ruined large tracts of arable land through the indiscriminate use of fertilizers during the 70’s and 80’s in the past century? Was it they who implemented the so-called “Australian cutting system” in the harvest, when countless acres of sugarcane fields were burned with the intention of increasing the grass yields, oblivious to the harm caused to the organic soil cover? I don’t think Europe has ever had the intention to drain the Zapata Swamp, the largest wetland in the Caribbean, as did the thunderous and enthusiastic former commander of the 60’s, though many don’t remember and the official press is careful not to talk about it. Neither do the demonic Western countries have any relation to the project of building a nuclear power plant in Juraguá, in the Cienfuegos province, stopped only by the happy event of the Soviet collapse. A few days ago I was commenting to a close friend about a recent phenomenon: a kind of “criticism epidemic” on the part of some Cuban intellectuals and artists who have begun to question, more or less tentatively, some of the many current problems on the Island. The most bold criticisms have reached the point of bringing the issue of corruption among government officials to the table, citing cases with first and last names, an unusual act of recklessness if it were not, without a doubt, an official mandate. To put it more clearly, and to paraphrase a well-intentioned Cuban filmmaker, nobody ever said anything so bold among government officials and intellectuals without permission (or by express mandated mission) from the highest sacred cows of the tabernacle without running the risk of being severely punished. At any rate, as would be expected in a society where everything related to the government and its very numerous army of officials has been characterized by secrecy, it is nevertheless interesting that some members of the ever-faithful team of supporting believers are speaking out against the evils that are affecting us since long ago and that, additionally, nobody had ignored. Though I don’t think that we can declare ourselves satisfied or unreasonably optimistic about these new suggestions for change, at least we must recognize that, until recently, it was unthinkable that these muddy stains of the system would be aired beyond hermetic sacred precincts. But we cannot ask for too much either. For example, if we are to be understanding, we might assume that Pablo Milanés’s speech is not any more decisive, and that the artist has an oblique look on the Cuban reality because he spends more time outside Cuba than in Cuba. We could say something similar about poor old Silvio Rodríguez, working endlessly, locked up in his recording studio… but, we might suppose that he should be more aware of what we are going through here, given his long experience as a member of parliament, elected by the people. It is true they have not said anything that dissidents have not said before, having paid a high price for it. However, the positive small portion in this saga of questioning the Cuban situation is the ability for disclosure that artists have, because they are widely known inside and outside Cuba. In these crucial moments we are living, the more voices joining the chorus of complaints, the better. But, at the end of the day, we should not demand any more from them. Paul and Silvio are not politicians… they are not even part of the circle of believers, but merely successful troubadours who have prospered in the shadow of the revolution that gave them shelter, and it is obvious that they no longer feel safe under the ramshackle palm fronds. As was made clear, Silvio’s recent exchange with the intellectual Carlos Alberto Montaner served as evidence of how far from being a thinking man the former is. Another issue is the one that deals with the social scientist Esteban Morales, or with the very-committed-to-the-regime Alfredo Guevara, among other elements of the new breed of critics. His newly released diatribes might deserve a separate, more extensive analysis than the reflections proposed today by this conflictive blogger, since, for decades, the activity of both was focused on the permanent production of uncritical thinking, primarily aimed at pleasing the ideological demands of the Cuban government. They are examples of the purest sectors of revolutionary doctrine. There is much speculation among the circles of the “enterados”* (those in the know) who have had access to the statements of artists and intellectuals, almost never broadcast by official media in the island. General opinion is that these criticisms are the external and most visible manifestations of a bloody conflict of interests among the highest ruling sectors, something that in reality is hidden from us, mere mortals. Some claim that this is the typical running of the rats from a sinking ship, a classic reshuffling of opportunists. Perhaps there is a little bit of all of this and much more which remains beyond the scope of our plebeian reach. But, in any case, I prefer being one of those approving of the debate, whomever it comes from, if it results in new waters flowing and –the hardest thing- building new and better watermills. My friend, the speaker of these troubles, remains pensive for an instant, and then tells me that we are probably in the prelude to a tropicstroika, i.e., a kind of tropical perestroika arriving here without the slightest hint of transparency and over 20 years behind. *”Enterados” (in-the-know) is the term coined by another friend, journalist Reinaldo Escobar, about those who, in some way, -either because they have secretly installed an antenna or because they have some access to the Internet or other alternative means of information- have knowledge of what is happening at every moment and usually inform others of it. Illustration: Photo by Orlando Luis. We, the nagging few who have been persistently demanding changes in Cuba, should be happy. Even General R., Cuban president by the power and “grace” of his older brother, a guy who never had the slightest sense of humor, has been making changes. True, they are not exactly the changes that many Cubans have been demanding for decades (democracy, freedom of expression and association, freedom to enter and leave the country, freedom for political prisoners, end of the dual currency, and dozens more claims, all the way up to participation in political decision-making and the economy, which would make this text never-ending), but, isn’t it true that there have been changes in two vice-presidents during the short period of just a couple of years? Haven’t there been changes in Ministers and other high-ranking officials? It is true that most of the time it is “a chair exchange”, or rather “a change of buttocks”, as the same soft and power seats are occupied each time by new backsides of the same clan; though, effective or not, these are changes, but Cuba’s problems remain, or rather, they tend to become more acute. The difficulty in understanding such rare and frequent movements of the nomenclature is that they occur at such a high altitude that those who live at ground level fail to recognize the invisible springs that launch the bureaucrat of the day through the air, we ignore the proposals that the newly “elected” supposedly brings and -of course- we never receive the benefits you’d expect from these substitutions. At best, a suspicious smell of scorching rocket fuel lingers in the air. It is something, in addition, very confusing. I mean, our official press has taught us that, if a foreign government makes changes to its cabinet, it is because there are factions or conflicts in the policy of its ruler, or that there is administrative corruption or disagreements between the official who has been forced to resign and the government, and, on some occasions, the official press even partially informs us about the nature of those disagreements. If, in addition, the government that is replacing officials at any level is that of the United States, there is no doubt that we are facing a deep crisis which heralds the imminent collapse of capitalism. This event is no more and no less than an example of the decadence of Imperialism, a flawed trumpet whose sound I have heard since my distant and tender years as a indoctrinated school girl. In Cuba, however, substitutions (destitutions, which is the same around here) always mean a “process of rectification”, a step forward, a sign of growth that heralds better times to come. Apparently, it is something so positive that it’s becoming the norm. And, if anyone doubts it, just remember that until that very well-chosen commission of the anointed seven -Raúl Castro, the two José-Ramóns, Esteban Lazo, Carlos Lage, Felipe Pérez Roque and Francisco Soberón- picked with just a snap of the fingers in the proclamation published in Granma on Tuesday August 1st, 2006 (PROCLAMATION BY THE COMMANDER IN CHIEF TO THE PEOPLE OF CUBA) to “provisionally” govern the Island’s destiny (which shows the sense of eternity that Mr. “F” grants himself) and reflected the pinnacle of confidence of the patriarch-fallen-from-grace, has changed dramatically: in due course, the last three mentioned senior officials were conveniently “replaced” by the general in guayaberas. Now, the official note published in Granma on May 4th, 2010 reporting the recent dismissal (i.e., “release from responsibility”) of the Vice President of the Council of Ministers and Minister of Transportation (Jorge Luis Sierra Cruz) and Sugar Minister (Luis Manuel Ávila González), and the return to the big scene of that other octogenarian general, Antonio Enrique Lussón Batlle, might serve to speculate about the much-discussed splinter between different layers of Cuba’s official policy, but above all, it reminds us that the historical gerontocracy still insists on retaining in her arthritic hands the conductor’s baton of this military band, even if it means that her only capital is the one emanating from old dog loyalties. The front page of Granma published a catastrophic headline: “The current bad harvest can qualify as horrendous in production and efficiency” and there followed -scarcely 24 hours later- the dismissal of the Sugar Minister, Luis Manuel Ávila González, who, according to official information “requested his release after recognizing the shortcomings in his work when they were pointed out.” (??) An article appearing on page 3 entitled “The Harvest Lacked Control and Demand,” written by Juan Varela Pérez, expands on the details of the disaster, pointing out that there hadn’t been such a poor sugar harvest on record since 1905. According to the data, Varela maintains that 61 Cuban sugar mills have the capacity to produce over three million tons of sugar in 110 days, a volume that can be increased if there is more sugarcane available. However, only 44 mills were operating this harvest season, and, out of those, only 10 met their estimates for milling. I decline to comment, in memory of the more than 150 sugar mills that existed in Cuba when I was born. The causes of the inefficiency, set out in the referenced article, are so many and so diverse in nature that I prefer not to bore the reader by repeating them, so I’ll just share with you some very subjective assessments that come to mind after reading such instructive paragraphs relating to the direct accusation by the article’s writer to the highest leadership of the Ministry of Sugar (MINAZ) as responsible for “a lack of objectivity when planning a potential standard of 80%.” I say this, not because I am in doubt of the Minister’s responsibility in this season’s disaster -the last in a long chain of unsweetened longstanding failures where there was no scapegoat- but because, when we set out to demand liability, we must look through a magnifying glass to seek those main officials responsible for the dismal failure of the 1970 harvest, when the ten million tons of sugar where not achieved (they were coming! coming! but they never arrived) which both contributed to depressing the economy and the morale of Cubans at the time. The cost of that adventure has never been made public. Whether those who lived through it believe it or not, for them, it was an experience charged with lots of dramas, both big and small. I was only ten-years-old and, though I did not understand, I was deeply impressed by the silent tears of the janitor at my school as she watched on her home TV the lunatic father of the idea announcing the failure that he never assumed as his own. She was so convinced a revolutionary that, in order to serve F.’s cause stoically, she endured her husband’s abandonment. After months of hard struggle harvesting sugarcane away from home, her husband ended up hopelessly in love with the camp’s cleaning girl and he never came back home. Perhaps if they had milled the ten million tons, she would have coped better, perhaps she would have thought that, despite everything, it had been worthwhile. And now that they are making claims and applying sanctions, now that the ministers will not go unpunished, we expect the dismissal of José Ramón Balaguer, Minister of Public Health, at any moment, for his lack of control and demands that led to the deaths of more than 40 patients of the Psychiatric Hospital of Havana this past winter. That, and not to mention the unhealthy state bearing down on the capital and on almost all the hospitals in the country, deaths from predictable epidemics, from irresponsibility in the hospitals, the shortage of doctors, who are outside the country on missions more political than humanitarian, and from the deterioration of the entire health system. They will probably also replace the Minister of Education, given the extremely low instructional levels and the limited knowledge that many of our educators and almost all of our students have, because of the very poor instructional programs and the disastrous evaluation processes, for the widespread fraud by teachers and students, and for the loss of ethics and dignity of the profession. I keep on fantasizing, and I suppose that the Minister of Economy and Finance must also answer to some uncomfortable little matters related to our ongoing poverty, the Minister of Agriculture will certainly have something to explain, as will the Ministers of Informatics and Communications, Tourism, Science, etc, etc. But, poor us! I fear that there aren’t enough reliable old timers from the historical generation left to replace all the irresponsible ones. We will have to continue to wait for suitable leaders to emerge who will save the ship in the midst of such turbulent waters. I just finished speaking with a foreign colleague whom I met by phone about a year ago. Back then, the individual in question had known of the existence of independent bloggers in Cuba, and the topic had interested him enthusiastically. It seemed incredible to him that we, just a handful of people, under our own initiative, and in spite of the consequences that often result because of such pastimes on the Island, had decided to exercise our right to express ourselves freely, and he was even more intrigued by the fact that, in order to carry it out, we used cyberspace as a means of support, here, in a country where Internet access is almost nonexistent. He was so excited that he seemed to assume that a change had taken place, that everyone had wide connectivity to the web, and that bloggers were the beginning of an opening that would precipitate the path towards democracy in a few months. Poor guy. Today he called me, between disappointed and confused, “I’ve seen pictures of the parade in Havana and there were thousands and thousands of people there. How is it possible? . I really felt pity for the colleague who understood nothing. But he is not the only one. I understand that it is not easy to explain to people who do not live the daily “Cuban way”, that it is extremely easy for the government to fill the streets with a thousand and one marches like this one; for that purpose, it can count on its trained machinery of control at every place of work or school, in every contingent and even at each block’s level. The fear of the consequences at “being marked” for not attending a “revolutionary act of affirmation”, not only is still present in the population, but it’s increasing at a critical moment in the economy, when they are announcing future cuts in the workplaces of many companies and state institutions, which will result in thousands of unemployed (so-called “available”, remember that in Cuba there is no “unemployment”), who will have, as their only alternative choice, joining the agricultural ranks. Raúl needs veggies in order to continue stirring this concoction. All of this, without mentioning that there is a portion of the population that supports the government, that the opportunism and even the masochism are also part of Cubanism. By the way, a timely detail, but very significant and absolutely true: For this march, the young female medical students were warned that they should not take part in the parade while wearing white trousers or skirts under their doctor’s jackets, under penalty having it considered a provocation. Not following this explicit direction would be assumed as a tribute to the Ladies in White, and the consequences would be the immediate dismissal of the disobedient young woman from the Medical Sciences. A good test of the strength of the revolution. And, of course, the anguish of my foreign colleague -confused by the enthusiasm of so many people- may not be easily dispelled if he doesn’t understand the reality of this country of little and big lies, though I explained that the masses are an important part of life and even of the culture. He has not been to Cuba even once, so he has never seen the crowds that gather in compact hordes on very long lines when they hear the new war cry in my neighborhood, “the potatoes have arrived!” Nor has he peeked at the permanent lines of those who wait their turn to apply for a US visa any workday of the year. This colleague is not able to imagine how many hundreds of thousands of Cubans on the Island have come and gone en mass after their Spanish citizenship and how many hundreds of thousands more await the opening of any embassy –be it Cameroon, Canada or Italy- to start out on the most coveted of the marches: the one that will take them away from Cuba. And to cite a couple of more examples, has anyone who saw the multitudes been able to forget the people at the Peruvian embassy or the stampede through Mariel during that amazing Spring of 1980, or the thousands of makeshift boats that, without being convened by anyone, took to the seas completely full of Cubans in the summer of 1994? Indeed, the May Day march in Cuba was massive. Not as large nor so compact as the crowd that spent hours under the sun for the Juanes concert this past September 20th, and not even like the ones seen 15 or 20 years ago, nor like the very celebration in East Berlin in 1989, a few days before the overthrow (not fall) of the abominable wall that saw so many Germans perish. But there were a lot of marchers this Sunday in Havana. So Raúl must be so very, very happy: now he would only have to assign a furrow to each of those “faithful” who patriotically waved their flags as they walked, with effort and sweat, by the podium last Sunday; the president in his Cuban dress shirt will then see the agro production multiply, the main reason for his sleeplessness and afflictions. Illustration: Photograph by Orlando Luis. Partial view of the crowds in Havana awaiting the start of Juanes’s Peace Without Borders concert last September 20th.